Unfortunately, elderly individuals are in the market for crucial government assistance programs such as social security and Medicare. Scammers recognize this and given the many people who are turning 65 each day and becoming eligible for benefits from each, it is equally important to be aware of the potential risks of being caught up in a scam. Scammers are getting more elegant and experienced with how they use technology or threats to encourage people to hand over personal identifying information. Many phone calls are going out to individuals who may have enrolled in a Medicare program or may be in the process of receiving a new social security card and these individuals may hear from the scammers that they need to provide their social security number or other personal identifying information over the phone in order to get these materials in the mail. 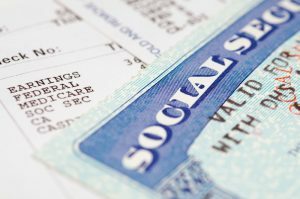 Bear in mind that the Social Security Administration will usually contact you directly and be able to provide verification of who is contacting you. Instead, scammers will often leave a message on your voicemail prompting you to call back a number that leaves a generic voicemail as well threatening you that a lawsuit has been served against you or that a warrant has been issued for your arrest. These scammers are targeting vulnerable seniors who may be unaware of their rights and may be deeply concerned about the nature of these voicemail messages and thus prompted to provide personal information such as their bank account, their Social Security number or other critical details. You can avoid these scams by being mindful and always asking people to clarify who they are, where they work and their supervisor’s name and contact information, where possible. This can go a long way towards minimizing your concerns that you have given up details when they were unnecessary. The Social Security Administration and Centers for Medicaid Medicare services will usually contact you directly and will typically do so in a written format. Although if someone does contact you on the phone, it should be relatively easy to figure out whether or not they are truly working for the agency they claim to be.